- Our STI products generally ship out within 1 business day! - CNC machined from aircraft grade aluminum, not cast like most competitors wheel spacers. - The 12mm Stud wheel adapter is designed for use with the Kawasaki Teryx. - Includes studs and lugs. - Sold in pairs of 2. 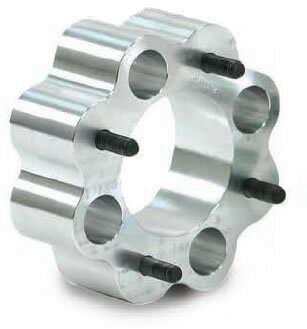 - Our ATV Wheel spacers are available in 1 inch, 1.5 inch, 2 inch and 2.5 inch sizes. Purchased these for the rear of my Wildcat Trail to even out the track on all four corners. Heavy duty construction and worked as advertised. I purchased STI 2.5 inch wide wheel spacers which are purely all there.Now these are some heavy duty wheel spacers, and I can't imagine ever being able to brake them.I purchased wheel spacers before from another company for more money than what I paid for these, and they weren't even half the aluminum, and were cheap, one jump and you could easily brake them.I will deffinetly buy more products from Pure offroad,thanks Dale. Best quality spacers I have seen! 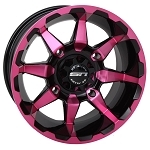 I ordered a set of new tires, rims, and these wheel spacers. When they arrived, I was absolutely shocked at the quality. These are some of the best quality spacers I have seen. I am usually leery of wheel spacers based on past experiences. These things will not break and will last longer than my 2010 RZR S! Excellent quality..bolted up and actually gives more stability to the vehicle..prompt shipping.. Very proffesionally made, price are very compatible and nice addition to my son's Banshee with more control and stability. Q: Is the price for 1 spacer, or one set (of 4) spacers? I selected one 4/156 spacer and my cart said "quantity 1." Need to know if that is for a set or.....? A: These are sold in pairs of 2. QTY. 1 gives you 2 spacers. If you want spacers on all 4 corners of your ATV you will want to by QTY 2. Q: are these hub centrick how much do they wiegh ? A: Each ATV is different so yes they might be hub centric on certain models but not others depending on the size of the hub on your atv. The holes are tapered so the lug nuts will center them if the hub doesn't. The weight will vary depending on the size/thickness you are looking at. Q: hi,, Is this wheel spacers STI WS4137-2 can fit can-am model from 2016 and above like outlander 1000xt and etc? A: Yes that part number fits the Can Am Outlander and other models. 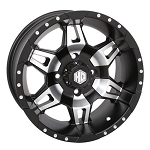 Q: What size for 2007 grizzly 12 inch rims? A: You need the 4/110 bolt pattern. There are 3 thicknesses to choose from for that pattern. Q: Will the 4 x 110 spacer fit a 2016 Polaris RZR 170? Does it come with 10mm studs?